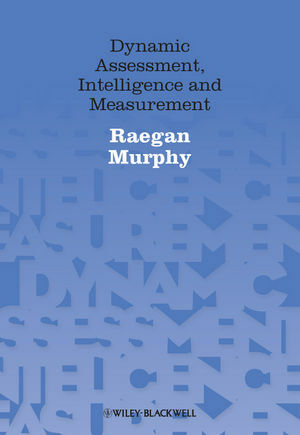 Dynamic Assessment, Intelligence and Measurement paves the way for the development of dynamic assessment by applying this unique approach to the assessment of human potential. Raegan Murphy is Lecturer in Applied Psychology at University College Cork, Ireland. She is a chartered Psychologist with the British Psychological Society. Her publications have appeared in the South African Journal of Psychology, The Journal of Cognitive Education and Psychology, and The Irish Journal of Psychology. 1 Introducing Dynamic Assessment and Intelligence. A Glance at the Rest of the Book. 2 Theory and Meta-Theory within Psychology. Madsen's Overarching Framework: Systematology – A Comparative Meta-Theoretical Taxonomy. 3 The Fundamentals of Assessment: Prime Considerations. Integrating Madsen – Attenuating the Framework. 4 Dynamic Assessment and Intelligence: Exploring a Meta-Theoretical Framework. The LLT and the ACIL: Diagnostic Programmes. Assessing the Learning Potential for Inductive Reasoning (LIR) in Young Children. Dynamic Assessment for Students with Learning Disabilities. A Model for Dynamically Assessing Intelligence: Differences in Feedback. Dynamic Assessment of the Level of Internalization of Elementary Schoolchildren's Problem-Solving Activity. The Learning Potential Test for Ethnic Minorities (LEM). Feuerstein's Learning Propensity Assessment Device. The Assessment of Learning Potential: the EPA Instrument. Application of Cognitive Functions Scale (ACFS). Analogical Reasoning Learning Test (ARLT). The Mindladder Model: Using Dynamic Assessment to Help Students Learn to Assemble and Use Knowledge. 5 Where to from Here?